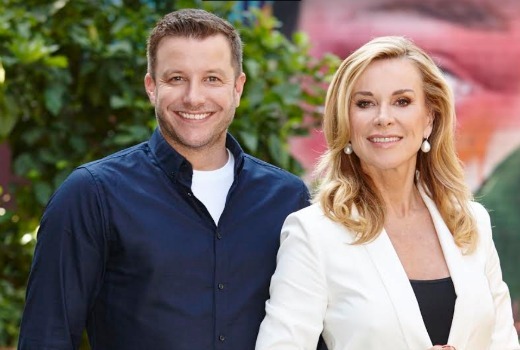 Former X Factor host Luke Jacobz will return to television as the host of Seven’s upcoming Instant Hotel. Described as a “competition series,” it sees home owners vie for the title of best ‘instant hotel’ by renting out their properties as accommodation. Teams will travel the country and stay in ‘hotels,’ judged on personal taste, precious belongings and price point. “I’ve stayed in some of the best and worst hotels in the world,” said Jacobz. “But I think even the most mediocre hotel rooms can be improved with the right personal touches. Designer and former editor-in-chief of Vogue magazine Juliet Ashworth joins as judge. “I’ve stayed in a number of homestay properties around the world – some fantastic and some not so fantastic – so I think this is a great opportunity to show people who are wanting to rent out their own home, what works and what doesn’t!” she said. Created by Seven Productions Instant Hotel will screen later this year. How much more can that barrel take, surely the bottom of it has been scraped enough. Yes this seems to be exactly the same as the old UK series ” 4 in a bed” where Bed and Breakfast owners travel around Britain staying in each other’s B and B establishments and judging them. Same show , different title? I guess Juliet Ashworth will play the Hotel Inspector role here as well, just to throw in an element from another show ….Heaven knows what Luke will have to do in all this . I’ll be curious to see how this differentiates from “4 in a bed”. I enjoyed Luke as a host in the live element in the X Factor, he oozes personality so it will be interesting to see how he goes in a format like this and it is also good to have a fairly fresh face as the expert. This has to be an April Fool’s joke! I honestly don’t get this series or idea of the show- it doesn’t even sound interesting…I guess ch 7 is trying to get more shows etc points for trying / not sure how this will go- host Luke is cool (luckily he won’t be shouting in this show as X-factor) lol but he’s cool and a good host. This sounds like a typical 7 reality affair. It won’t be any good (at least in my opinion) but it will somehow rate (and the raitings are what it’s all about in the TV game).